This post is brought to you by the “Women of Fisheries”, a Facebook group dedicated to providing a place for the awesome women of fisheries to connect, share stories, ask questions, learn from each other, and together tackle some of the issues facing women in our field. What do you think of when you envision a fisheries scientist, especially one in the field? Who do you picture hauling in a seine, slogging through marshlands wearing waders, analyzing data, or tagging a salmon? Chances are your mental image isn’t one of a woman, and it almost certainly isn’t a pregnant woman. But it turns out that women working in fisheries are just like other working professionals, and many start families during their careers. The challenges of work-family balance are not unique to our field, though our work environment might be just a bit out of the ordinary. There’s not a reliable method to determine how many women work in fisheries research-related fields, partly because we work in so many different capacities, including government agencies, universities, non-governmental organizations (NGOs), and consulting firms to name a few. Anecdotally, we have seen a considerable increase in the proportion of women in fisheries research – many of us of *ahem* a certain age can remember being the only women in our respective offices 15, 20, and 30 years ago. We still have a long way to go to reach the 50% threshold (especially in the graduate school to career pipeline), but it is encouraging to see so many women coming up through the ranks. Many working women may delay starting a family until they have job security, or even choose not to have children at all for personal, professional, or financial reasons. In our field especially, working mothers often pursue a non-conventional career path, which may include part-time consulting, delayed pursuit of graduate school, or extended leaves of absence. Young women just starting out in the field could easily look around and be discouraged by the lack of mothers among their mentors. Which is why we bring you Moms: the True Livebearers of Fisheries Research, where we share photos and stories of some of the women who conduct research while simultaneously creating and sustaining brand new human beings. We want to highlight some of these inspiring scientists to demonstrate that not only is Mom-ing in Science doable, but it also can be fun and rewarding, and having kids is not a career (or even field work) killer. And of course who doesn’t want to show off their amazing accomplishments? We asked a few of our colleagues to share photos and brief snippets about their work, including challenges, anecdotes, funny stories, and unique solutions they have found. I found that a baby bump makes an excellent clipboard rest while conducting interviews with deep-sea fishers in Guanaja, Roatan. What are some challenges you face that others might not consider? Bathroom access! Drinking water becomes your second job when you’re pregnant, so easy access to a bathroom is sometimes a logistical problem, especially when traveling or doing field work. What are some awesome support systems you have seen in our field or would like to see? The choice to work from home a couple of days a week or have flexible working hours would be a huge help, both while pregnant and after having kids. As progressive as modern offices can be, it’s really nice to be able to put your feet up, or even take a nap when you really need to. I am very fortunate that my employer allowed me to relocate for my last trimester- it allowed me to continue to work up until my due date and gave me peace of mind for medical care and quality of living. What are some things that supervisors and coworkers can do to put you in the best position? If you are in the position to lend a hand, offer a bit of respite to parents at meetings or conferences. Juggling travel, child care, and putting together presentations is stressful, and often parents are already sleep deprived. Just having another pair of hands to hold the baby for a minute, or even taking them for a couple of hours can make a huge difference. Thirty weeks pregnant with triplets, on bedrest, and participating by phone in a PhD qualifying exam (“I don’t think my questions were very brilliant!”). Eight months pregnant with first child, participating in Florida Fish and Wildlife Conservation Commission’s annual open house (Marinequest) in St. Petersburg, FL. This outreach event is attended by thousands of stakeholders each year. With Chelsey Crandall with babies in tow at the 2017 American Fisheries Society Annual Meeting in Tampa, FL. Both were on the planning committee for the meeting and put their babies in child care there for the first time. Field work definitely becomes a challenge for many reasons, especially in the beginning. I delegated some of the “fun stuff” for quite awhile, during which I missed some of the work camaraderie but wouldn’t have traded it for the quality time I spent with my babies. Long offshore research cruises and extended travel aren’t as much fun either when you miss your little one, but it can be done. Pumping in the field is always an adventure – I cut holes out of an old sports bra to hold my flanges while pumping on a small boat and used a nursing cover and antibacterial gel to keep everything sanitary. The ability to use paid leave accrued over many years instead of taking straight work without pay was a lifesaver for me and extended the time that I could be at home with both of my babies. When I returned to work, a flexible work schedule and the option to work from home made the transition so much easier. I have been blessed with understanding supervisors and coworkers and a supportive spouse. Their trust in my work ethic and time management skills has led to a high level of accountability on my part to get the job done even in unconventional ways. Conference calls planned around naps and working on papers with a sleeping baby on my lap are just a few examples of multitasking while my babies were little. I’ve made use of pumping rooms at two annual AFS conferences and the ability to bring young children along on these types of trips is sometimes the only way to make it work. In addition, being able to learn from other moms in the same workplace and get tips on how to make things work is a huge help. Amber Mouser, Environmental Scientist-Plumas/Sierra County Fisheries with the California Department of Fish and Wildlife. 22 weeks pregnant with second child and doing a fisheries pre-stocking evaluation of Snake Lake, Plumas County, California. I was lucky to have a super supportive supervisor and coworkers during my pregnancies and when my kids were newborns. They were willing to have meetings at my house (so I could be with the babies), schedule calls during naptime, and generally work around the crazy schedule that is part of having a baby. Also, just knowing they were supportive and understanding meant a lot! Having childcare and a pumping room at conferences is so important, and was the only way I was able to attend the national AFS meeting in Tampa. Allowing for flexible schedules is also so helpful, and I would love to see more ways to provide new parents with flexible or part-time work. Conducting a field seining outreach with kindergarteners with 5-month-old Joseph. Honestly, the biggest hurdle I’ve had is continuing to be productive while having very limited time. As naps have gotten shorter, my work time has become more and more limited. I have to shift to evening work or get a babysitter if I want to continue making progress. Continual support throughout. My advisor is a dad. He has teenage kids. He remembers what it’s like to try to juggle. My co-students have been very flexible with me. They understand that I can only be on campus a very limited amount of time (because childcare is expensive). But also, assume that I can get things done. I may take a couple of days longer to accomplish a task, but I am going to get it done. Don’t count me out just because I’m a mom. My situation has been incredibly supportive. My advisor has never stopped supporting me mentally and physically throughout this entire journey. I never was required to take a semester off. I’ve never been asked to go on long field expeditions when I could be at home with my nursing baby. My needs as a mom have been accommodated 100% of the time. In addition, I have taken my kid with me to every conference I’ve been to, even if there’s no specific child-care plan. My husband and I even plan to take him to Florida chapter AFS meeting in a few weeks where we’ll both be presenting. Any tricks, secrets, “hacks” you used to make the process easier? Work when the baby sleeps. This has been my mantra throughout. If he’s napping, I’m working. Prioritize. Make the hard choices about what needs to get accomplished and what doesn’t at any given moment. A lot of things in grad school are opportunities not necessities. Good enough is good enough. Stop being a perfectionist. Things will get done and they will get done well. They won’t be perfect, but they’ll be pretty darn good. Anywhere I’m welcome, the kid is welcome too (within reason). TGIF with the grad students? Kid is coming along. Need to run to the lab to get some samples thawing? Kid is coming along. Conference with no child-care? Bring a babysitter and bring him along. Fisheries parents: what has your experience been? Share your pics, stories, and tips in the comments below! 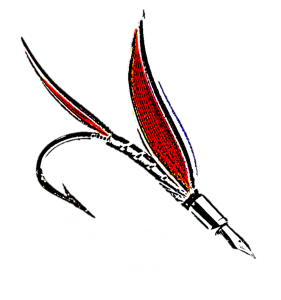 Edited and minor contributions by “The Fisheries Blog” member, Patrick Cooney…who is also married to an awesome Woman in Fisheries!!!! Here are some links to other posts we have published about people and their experiences in the fisheries science field. Pregnant and giving birth while earning a PhD. Being a mom and a military spouse while working in fisheries. Increasing diversity in the fisheries profession takes resilience. Giving back through fisheries research. Job opportunities in the fisheries profession are diverse, and working for a power company is a wonderful option to consider. Revisiting the notes, research, and life of a fisheries scientist no longer with us. Encouraging creative adaptations to each parent’s situation during pregnancy and in those early years is important. Parents can be super productive with some (often) small changes in work assignment or schedule, and support makes such a difference in mom’s (or dad’s) stress level- which makes for a healthier work environment for everyone. In my own case, I worked from home and took on some extensive data-entry as I transitioned out of maternity leave. My supervisor assigned me a task that needed to be done and that I could do in short increments at any time. I always remind early-career folks (since pregnancy often comes when you are a newly minted professional) that asking for what you need or brainstorming what might work for you, your employer, and your family is not “asking for too much” or “special treatment”. We have lots of options for making changes that can get things done. It is also helpful if a supervisor starts the conversation and demonstrates a willingness to think creatively. This initiative coming from the supervisor models the idea that pregnancy is not a “problem” for the rest of the crew, it’s just another thing we will coordinate on.